NIH’s All of Us Research Program and the National Library of Medicine (NLM) have teamed up to raise awareness about the program, a landmark effort to advance precision medicine. Through this collaboration, the National Network of Libraries of Medicine has received a $4.5 million award to support community engagement efforts by public libraries across the United States and to improve participant access. To increase the capacity of public library staff to improve health literacy. To equip public libraries with information about the All of Us Research Program to share with their local communities. To assess the potential impact of libraries on participant enrollment and retention. To highlight public libraries as a technology resource that participants can use to engage with the program, particularly those in underserved communities affected by the digital divide. To establish an online platform for education and training about All of Us and precision medicine, with resources for members of the public, health professionals, librarians and researchers. To help identify best practices in messaging and outreach that lead to increased public interest and engagement in the program. 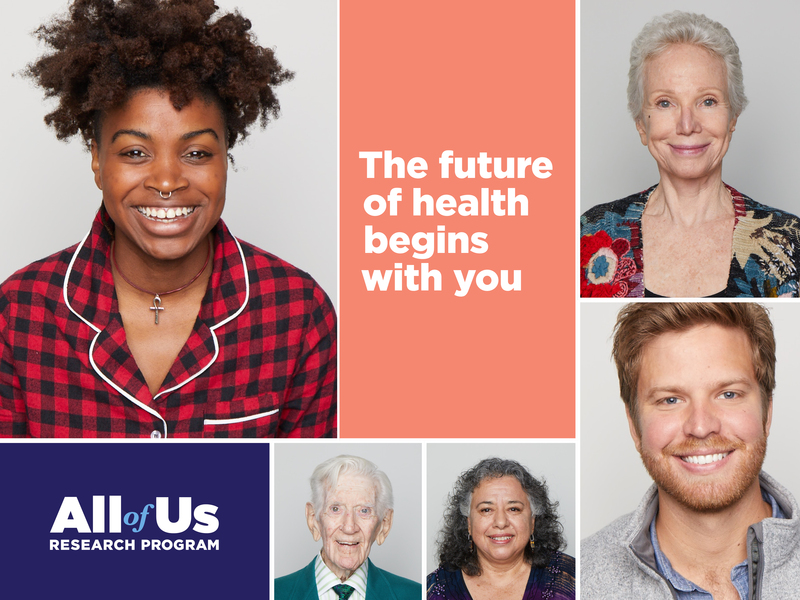 The All of Us Research Program aims to build one of the largest, most diverse datasets of its kind for health research, with one million or more volunteers nationwide who will sign up to share their information over time. Researchers will be able to access participants’ de-identified information for a variety of studies to learn more about the biological, behavioral and environmental factors that influence health and disease. Their findings may lead to more individualized health care approaches in the future. Amanda J. Wilson, head of NLM’s National Network Coordinating Office, and Dara Richardson-Heron, M.D., chief engagement officer of the All of Us Research Program, lead the new partnership. The All of Us Research Program is currently in beta testing. To learn more and to sign up for updates, please visit www.joinallofus.org. Precision Medicine Initiative, All of Us, the All of Us logo, and “The Future of Health Begins with You” are service marks of the U.S. Department of Health and Human Services.